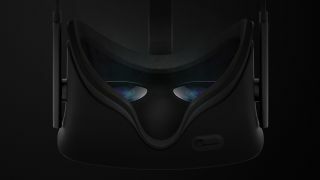 On the heels of announcing a 2016 release date for the Oculus Rift, the company has now released the official specs your PC needs to run the virtual reality headset, and it ain't cheap. Apparently "an underperforming system will fail to deliver comfortable presence" so in addition to the cost of a Rift, you'll have to spend a chunk of change to upgrade your PC if it doesn't meet the requirements. The company also noted that "development for OS X and Linux has been paused" to focus on creating the best Rift experiences for Windows opposed to dividing attention and delivering a mediocre experience on several platforms. There's still interest in developing for OS X and Linux but Oculus states "we don't have a timeline." This likely means console plug-n-play is also out of the picture for now. However mobile VR seems to still be in the running with the latest Samsung Gear VR for S6 device shipping soon, and heavy emphasis on app development. Will we see more Oculus news during E3 2015?